You won't find a brighter star anywhere. 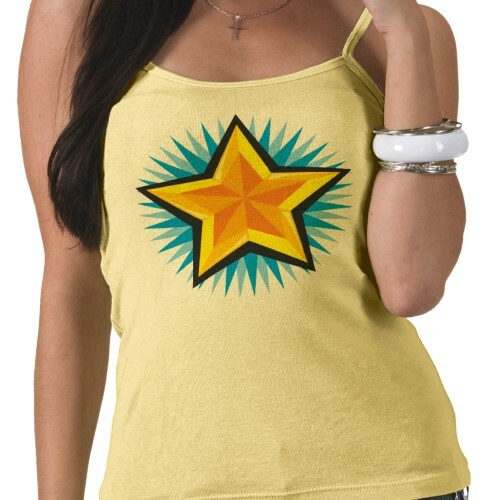 Are you a big enough star to wear this top? You'll certainly feel like it when you put it on, and everybody likes to feel like the biggest star in the room. Get yourself an Shiny Star T-shirt. See size, colour and style options on the product page on Zazzle. You will also be able change the pricing options to your local currency.